“The role of [school resource officers] cannot be overstated. . . . The impact has a lasting impression on children. NASRO can move the ball down the field in making SROs the best they can be.” — Phil Keith, Director, Office of Community Oriented Policing Services, December 3, 2018. Director Keith opened the NASRO National School Safety Leaders’ Summit in December with praise for the importance of SROs and NASRO as a leader in school safety. 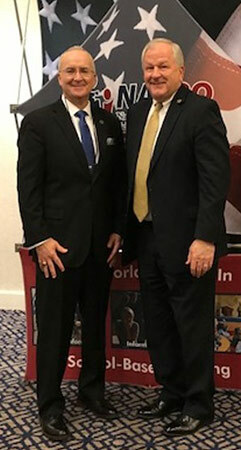 The NASRO summit represented a partnership of police, schools, and community groups engaged in discussions on a wide variety of topics related to school safety, including emergency response; legislative reform and state legislative engagement; bystander reporting; and communication methods. NASRO (National Association of School Resource Officers) is an advocate and training organization focused on school-based policing and school safety, with training courses and conferences across the United States. NASRO is also a grant partner with the COPS Office and provides training for all COPS Hiring Program–funded SRO positions. 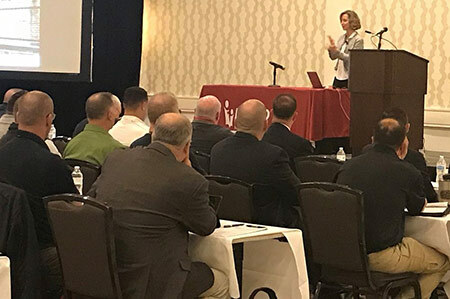 The NASRO summit provided a unique opportunity for school and law enforcement leadership to meet and discuss collaborative programs, as well as best practices, in schools across the country. Dr. Peter Langman of schoolshooters.info spoke about averted incidents of school violence and information to help identify and prevent incidents, a theme repeated throughout the summit. Ideally, school staff, law enforcement, and students identify at-risk youth and intervene before an incident. NASRO is working with SROs and leaders in the field to promote that outcome.